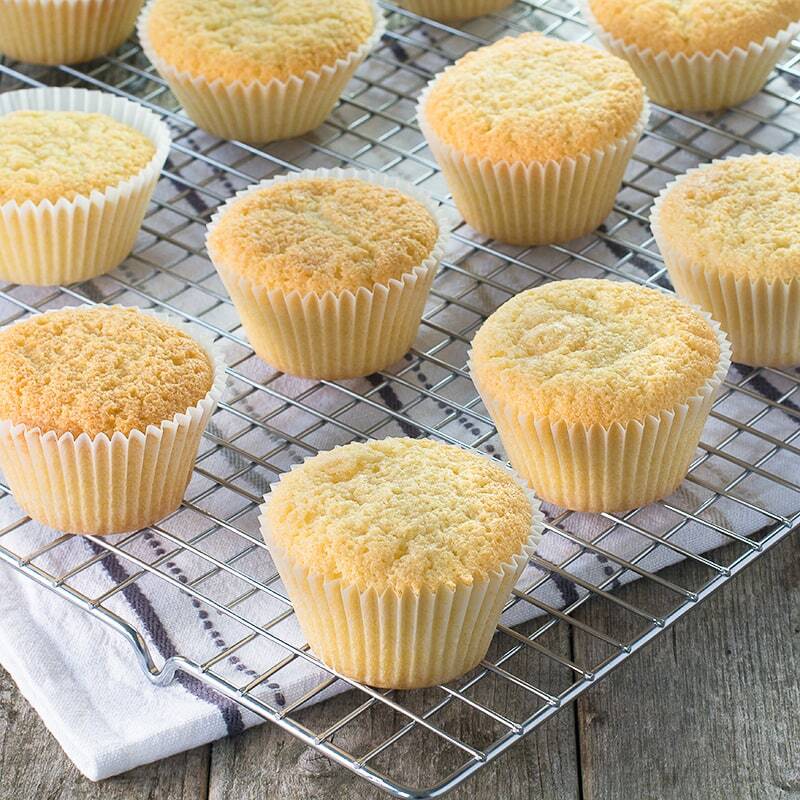 I mentioned when I shared my recipe for caramel cupcakes a couple of weeks ago that I’m working on creating a mix-and-match cupcake index with all my sponges, buttercreams and fillings in one place so you can create your own cupcakes using any combination you can think of. 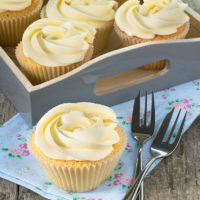 However, when I made a start on it I realised that two of my go-to cupcakes recipes (vanilla and chocolate) didn’t exist on here in cupcake form (they’re only on here as larger birthday cake recipes). 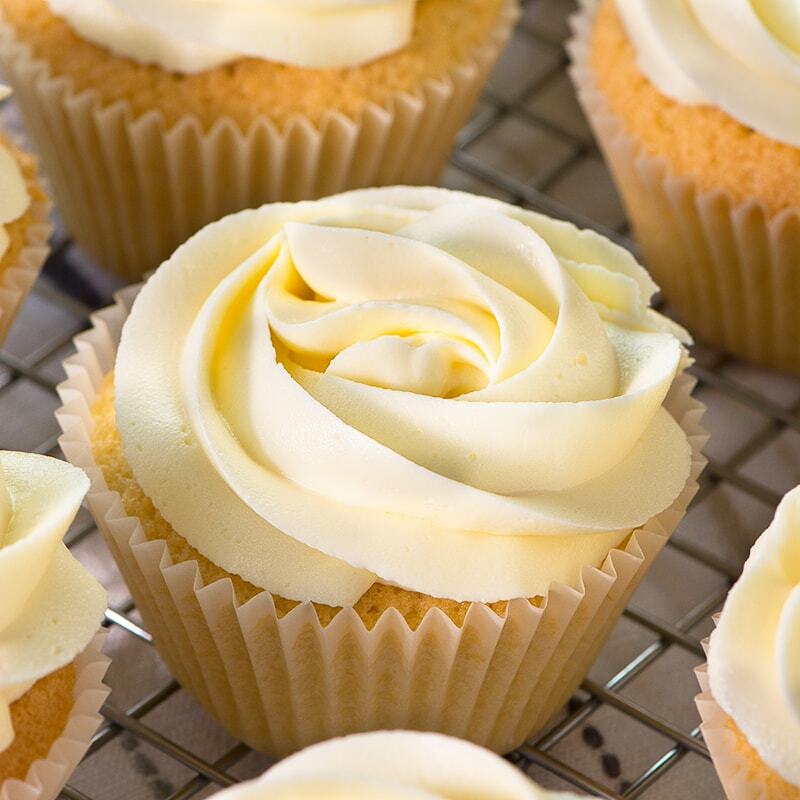 Whilst it’s really easy to convert these particular recipes from large cakes, to save you the trouble of working out what to adjust I decided that I’d publish them as cupcakes too. Have you ever cooked someone else’s recipe for them to eat, or vice versa? How did it go? Sift the self-raising flour (165g) and baking powder (1½ tsp) into a large bowl. Add the remaining ingredients (3 medium eggs, 165g soft margarine, 165g caster sugar, a few drops of vanilla extract and 1½ tsp milk) and mix until fully combined (either by hand or using an electric mixer on a low speed). 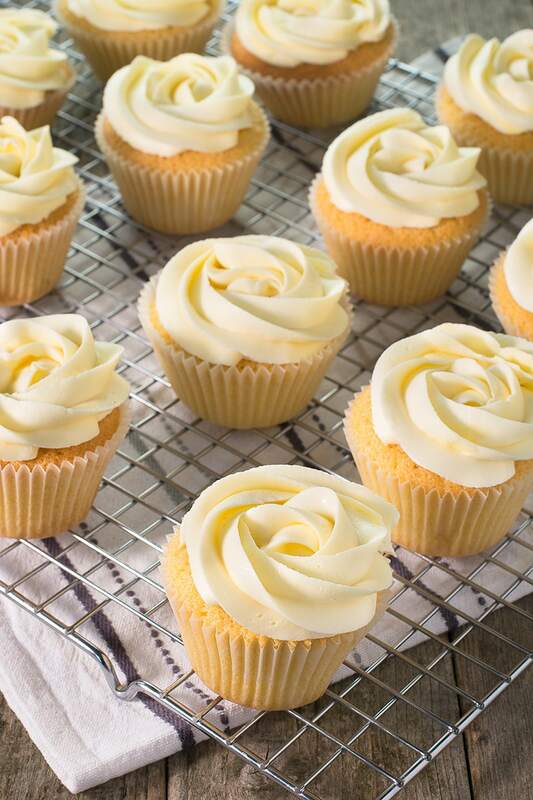 If you’d like to top them with vanilla buttercream you can find the recipe here. Really simple to make and delicious. Gorgeous with the white chocolate buttercream (topped with milky bar buttons!). awesome recipe …changed the margarine for Nuttalex and used Oat milk so Dairy free for Grandson ! Amazing recipes!! After a failed batch of caramel cupcakes – tasted good but split over the cases – I persisted careful not to overfill next time around. (I bought a metal ice-cream scoop (what you call a cookie scoop) from $2 shop – This is the keyword perfect measuring !!) I made another batch (also using your caramel recipe) plus a batch of vanilla cupcakes. Just made delicious buttercream too. Both have turned out brilliantly and more to the point, taste delicious. I got about a tray and a half for patty cakes which I guess would be 12 muffins. Thanks Charlotte. Loved the recipe but mine always seem to spill out the top of the cupcake cases – is this just a case of having put too much mixture in or is it a temperature issue? It sounds like there’s too much mixture for the cases, they should be about 2/3 full. What type of cases do you use. 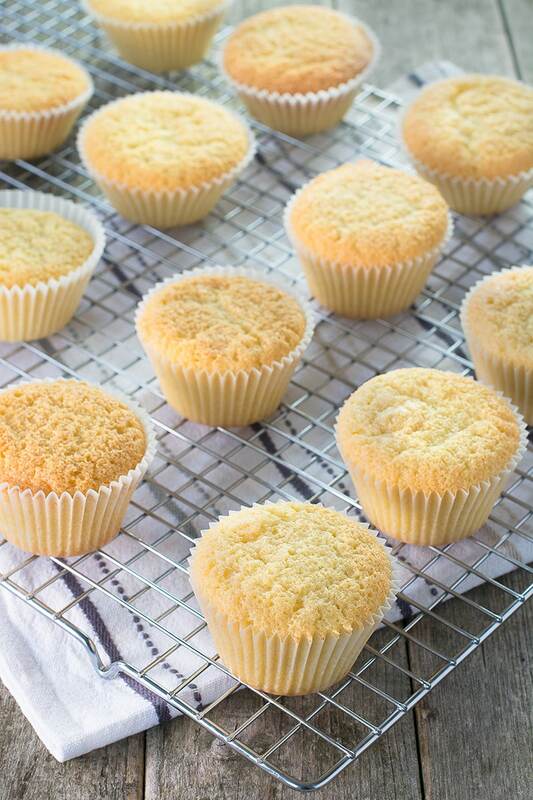 I usually use muffin cases which are a little larger for my cupcakes. Hello Charlotte – I love that these are really easy and taste fab. I’ve made them a couple of times when I’ve had guests pop round and have had good comments (plus I love the animation on your video). Keep up your good work.